German david S. hasn’t received any reviews just yet. I am an experience designer specialising in graphic, retail, interior, furniture and marketing design. I have extensive experience in project management, marketing strategies, social media and research and development. 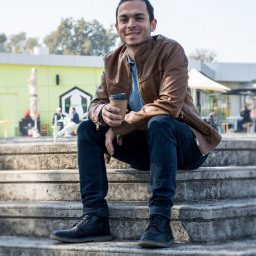 I am also a coffee professional and started working in coffee out of pure passion, and I have been working as a barista, coffee trainer and coffee consultant for over 9 years. I recently had a motorbike accident, reason why I'm forced to be at home for a few months, but looking forward to helping you in any way I can, doing so online.